Bethesda are launching a strategic card game similar to Hearthstone, featuring the memorable characters from The Elder Scrolls universe, like that dragon, that guy with the plasticine face and that guard who won’t shut up about his leg injury. Get in the mood for some tactical card action with our list of the best Hearthstone decks. 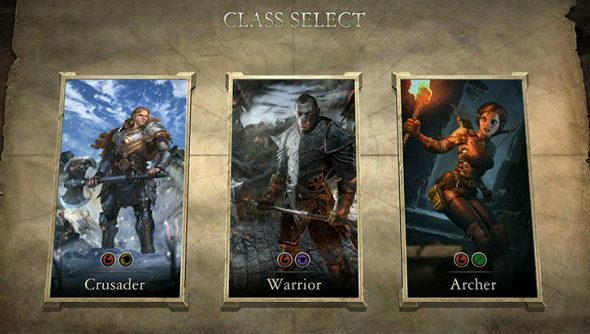 On the surface, TES: Legends shares a fair few similarities with Hearthstone, but it does seem to have some ideas of its own. For example, you craft decks from the five in-game attributes: Strength, Agility, Intelligence, Endurance and Willpower. The composition of your deck will determine its function, so combining Agility and Strength will give you an Archer deck. There’s a full rundown on classes here. It’s free-to-play and will cater to beginners to jump in and have fun, but will also have a layer of deeper strategy beneath the surface for those who want to dig in. The initial closed beta invites have gone out already, but there will be more invitations being sent in the coming months. You can sign up for the TES: Legends beta now.